Michael Bublé is back with his sixth annual NBC special! 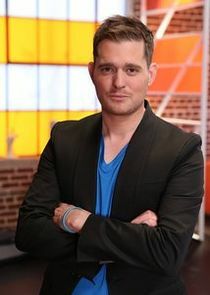 In Michael Bublé Sings and Swings, Bublé sings fan favorite pop hits as well as jazz standards that he has perfected over his career. 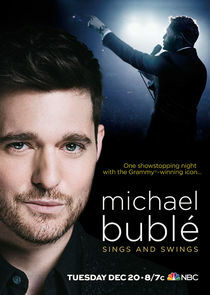 Taped before a live audience in Manchester, England, this special captures Bublé at his absolute best and is sure to delight audiences of all ages. Grammy winner Michael Bublé performs songs from his new album, "love"; backed by a 36-piece orchestra, he also shares stories of his rise to fame and the songs that inspired him, like "Fly Me to the Moon" and "You're Nobody 'Til Somebody Loves You".